Launchpad couldn't connect to Iced Tea Bugzilla. Hi, I have a problem in netbeans (and other java applications) with Ambiance theme. The menu bar has a dark foreground color and the menu titles are unreadable. This problem didn't occur in Oneiric. Please could you post an exact list of actions to replicate the problem (eg. including which package(s) to install and exactly how you start them). the problem occurs with netbeans, installed from ubuntu precise repo. I use the Ambiance theme and, when I open netbeans, the menubar is unreadable, as you can see in the attached image. With Radiance theme the problem doesn't occur, probably because the menubar of java applications, with the Ambiance theme, is too dark (and too similar) compared with the background. The java application SweetHome3D also has this problem under 12.04 using the Ambiance theme. A similiar issue occurs on window buttons and the calendar applet when using a Gnome session. See bug #933305. I confirm this issue, at least on SweetHome3D. This is specific to Ambiance theme. Version 0.1.9-0ubuntu1 of light-themes (recently released in standard repos) does not fix this issue. - copy Ambiance theme in my home directory from /usr/share/themes to ~/.themes. All swing Java applications have this problem if they decide to use native look. This includes netbeans, Jitsi (the SIP communicator) and possibly quite a lot of others. Confirmed in Precise Beta 2 running Ambiance with a variety of JDK 6 and 7 releases using bin/java -jar demo/jfc/SwingSet2/SwingSet2.jar after switching L&F to GTK (via the menu item provided for this purpose). > duplicate bug report (975894). Duplicate #975894 comment #6 & comment #7 have useful information about cause. Ok, so it's a java/swing bug. The commit chances the "menu" but here is affecting "the menubar". I am 90% sure that the menubar text color in java apps is picked up by the menu text color. Andrea you've commited http://bazaar.launchpad.net/~ubuntu-art-pkg/light-themes/trunk/revision/179#Ambiance/gtk-2.0/gtkrc and reverting it makes java apps menu normal again. Why now you mark this as invalid? I think that perhaps that change shouldn't affect the text color (although border was also changed??). I plan to look into JDK/swing's sources for theming info with native gtk look and see what they read as what, but am quite busy with other things atm. Marko, that commit exposes a bug in java apps. Ales is right. Which package should this bug be marked as affecting, if the theme is technically correct? Does it need reporting upstream? It would be good to get it tracked in the right place, to avoid it being forgotten/ignored. I filed Java bug #7169111. Would it be possible to revert the change in the theme until the bug is fixed (especially if it won't be fixed quickly)? If this is a bug in Java, then it certainly should be fixed there and not covered up. But from the viewpoint of an end user, the fact is that all applications based on Java Swing have been broken with the default theme of Ubuntu for several weeks now. And an end user is not interested in any finger pointing of developers whose fault it is, he simply has a bad user experience. In the future, it would be nice if changes in the themes were tested with all major GUI toolkits (GTK, Qt, Java Swing) before they are committed. colors seem too conveniently similar. > fixed (especially if it won't be fixed quickly)? I have the same problem with Freeplane 1.2.14. I worked around the issue by using a different Freeplane theme that overrides the default Ubuntu menu behaviour. Interestingly, it doesn't appear in IntelliJ IDEA Community Edition 11.1.2 while in RubyMine 4.0.3 the wrong menu font color can still be seen. Both running at the same time on Oracle JDK 7 64-Bit (build 23.1-b03, mixed mode), IDEA got it correct and RubyMine doesn't. Can anybody confirm that? Maybe there is some kind of workaround implemented in IDEA? >Maybe there is some kind of workaround implemented in IDEA? Yes, IntelliJ IDEA has a lot of workarounds for the GTK theme (you can check them in the community edition source). For the JMenu to look good on Ubuntu they call setForeground and setBackground with hardcoded color values if Ambiance theme is detected. 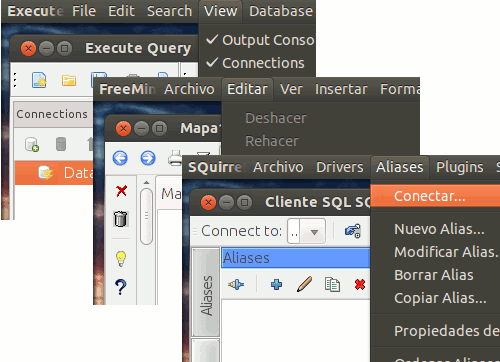 I have this issue in Ubuntu 12.04, using apps like Netbeans, Arduino and Scilab. I create the Java Ayatan proyect http://code.google.com/p/java-swing-ayatana/ to integrate a java swing applications with Ubuntu, for the moment, I create a netbeans plugin http://plugins.netbeans.org/plugin/41822/?show=true. But I can integrate any Java Swing Application with Ubuntu, but I need help to include this libraries (C library and Java Libraries) in a ppa repository. Do you consider it acceptable, to have Java swing apps menus broken in Ubuntu for nearly a year? Why? Andrea many many thanks for the explanation. Nevertheless i have one more question. Firefox doesn't have any menu any more, and both firefox and thunderbird have unity menu integration in quantal. Would putting the "style" change still affect them? Shouldn't the fix be backported to openjdk 6, so that all the Swing applications appear correctly by default on Ubuntu 12.04? I suppose the status for openjdk-7 should be changed as "fix released"? I hope this is useful for now." Man, this is irritating. My low-ball workaround is to switch to "high contrast" theme when working on a swing app, but that's got it's own bugs for other stuff, so it's not a very good one. OpenJDK 7 has the fix since 7u45 was released - the actual fix came with IcedTea 2.4.0 . Setting OpenJDK 7 bug report as invalid according to Ubuntu's bug status policy . 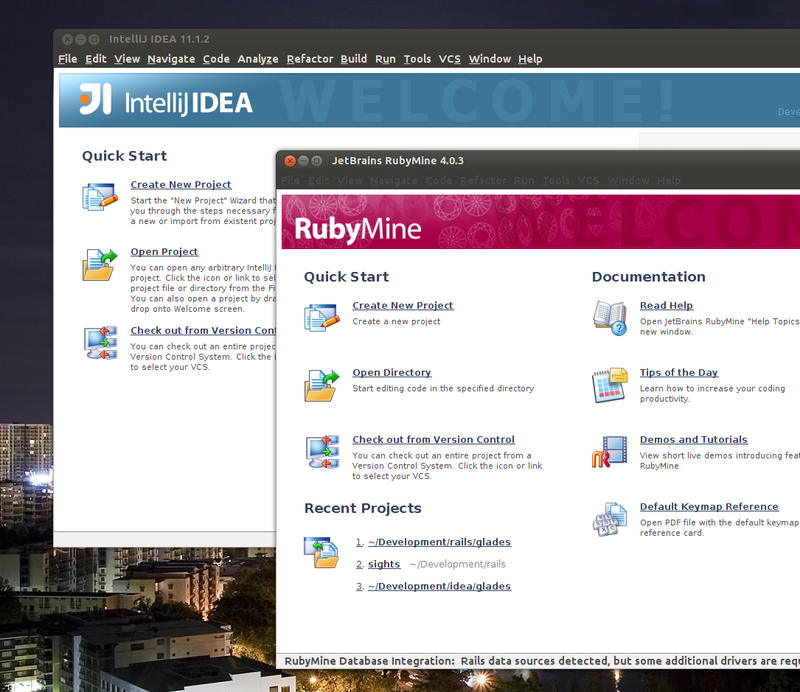 Using JDK 6 run any Swing app with a menu bar in Ubuntu 12.04 using the default Ambiance theme. The menu bar will be visible, but the text ("File") will be in dark grey on black, nearly unreadable. The menu text is only readable when the menu is selected. S7169111  was applied to OpenJDK 7 and integrated into IcedTea 2.4.0, but no backport was made to OpenJDK 6 and that still affects Ubuntu users running OpenJDK 6. I would like ask for a backport review in order to incorporate this patch into OpenJDK 6/IcedTea 1.x. Apart from a small fuzz the original patch  applies OK - the one attached has been refreshed and should apply cleanly. Add new backports for issues to be fixed in 1.13.10. New backports for issues to be fixed in 1.13.10.